Grandma's recipe. . 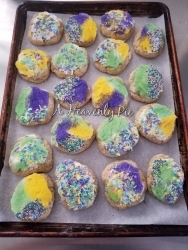 These thick, soft, frosted cookies are unique and delicious anytime!